Sokoto Journal of Veterinary Sciences. 2010; 8(1): 18-21. Intestinal obstruction escaped surgery: meconium plug syndrome. Case Study and Case Report. 2013; 3(1): 7-12.
International Journal of Current Research and Review. 2015; 7(23): 01-07. The Spleen of the African Palm Squirrel Epixerus Ebii : A Micromorpholgical Observation. Journal of Veterinary Advances. 2014; 4(6): 570-575. Sokoto Journal of Veterinary Sciences. 2018; 16(1): 102-106. Journal of Applied Pharmaceutical Science. 2017; 7(9): 109-115. American Journal of Physiology, Biochemistry and Pharmacology. 2014; 3(1): 26-31. Antioxidant properties of ethanol and fractions of ocimum gratissimum leave in paracetamol-induced oxidative stress in Wistar albino rats. Journal of Experimental and Integrative Medicine. 2016; 6(2): 66-70.
International Journal of Livestock Research. 2015; 5(11): 46-54.
International Journal of Livestock Research. 2015; 5(5): 54-58.
International Journal of Livestock Research. 2015; 5(5): 80-84. Journal of Applied Pharmaceutical Science. 2017; 7(3): 117-122. Journal of Veterinary Advances. 2014; 4(12): 767-771. American Journal of Physiology, Biochemistry and Pharmacology. 2016; 5(1): 10-16.
International Journal of Livestock Research. 2015; 5(11): 15-23.
International Journal of Livestock Research. 2015; 5(11): 31-38. Akpabio U., Kalu E. and Babalola S. A. Journal of Veterinary Advances. 2015; 5(6): 957-961. Journal of Animal Science Advances. 2012; 2(10): 857-864. Annals of Paediatric Rheumatology. 2014; 3(2): 88-91.
International Journal of Livestock Research. 2015; 5(5): 38-46. Journal of Veterinary Advances. 2015; 5(1): 808-813. Journal of Veterinary Advances. 2015; 5(2): 826-830. Journal of Veterinary Advances. 2014; 4(11): 763-766. Journal of Veterinary Advances. 2015; 5(1): 819-825. Journal of Behavioral Health. 2015; 4(1): 22-27. Materia Socio Medica. 2016; 28(6): 464-467. Accessing the Prevalence of Stillbirth Rate and Associated Factors among Women Who Delivered in a Rural Hospital: A Retrospective Cross-Sectional Analysis. International Journal of Health Sciences and Research (IJHSR). 2016; 6(1): 341-347. Emirates Journal of Food and Agriculture. 2003; 15(2): 17-28. Socio-Demographic and Economic Determinants of Diaper Dermatitis among Children Aged 0-24 Months at Mbaghati District Hospital, Kenya: A Cross Sectional Study. International Journal of Health Sciences and Research (IJHSR). 2016; 6(5): 239-247.
International Journal of Livestock Research. 2015; 5(3): 111-121.
International Journal of Livestock Research. 2015; 5(3): 61-70. Uchechukwu N. V. S., Rekwot P. I., Ogwu D. and Odirichukwu E. O. Journal of Veterinary Advances. 2015; 5(6): 968-975. Journal of Veterinary Advances. 2015; 5(3): 841-847.
International Journal of Agricultural Management and Development. 2011; 1(2): 81-88. Kalu E., Akpabio U. and Gloria D. I. Journal of Veterinary Advances. 2015; 5(6): 1017-1022. Qualitative Study of Factors Associated with Home Deliveries and Practices in Kilifi County-Kenya. International Journal of Health Sciences and Research (IJHSR). 2015; 5(12): 369-376. Socio-Demographic and Economic Determinants of Umbilical Cord Infection among Neonates at Pumwani Maternity Hospital, Kenya: A Cross-Sectional Study. International Journal of Health Sciences and Research (IJHSR). 2015; 5(12): 274-281.
International Journal of Therapies and Rehabilitation Research. 2012; 1(3): 1-9.
International Journal of Agricultural Management and Development. 2011; 1(4): 221-228. 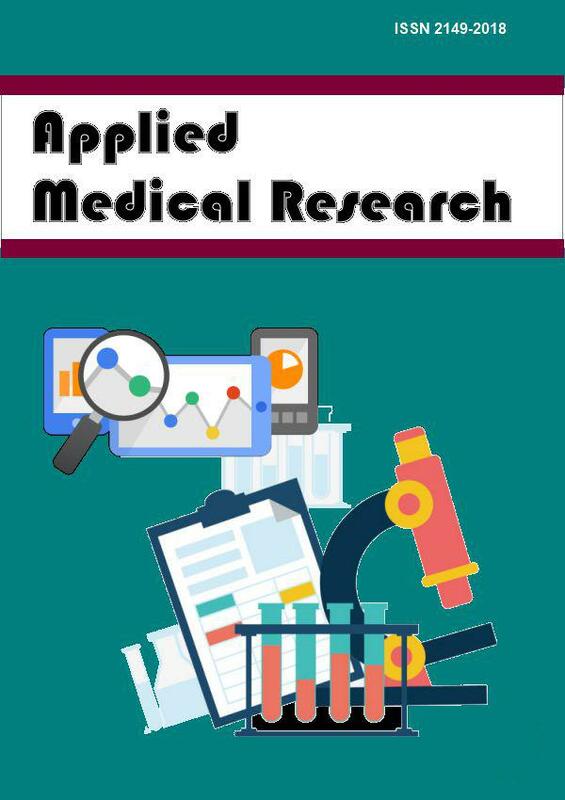 Journal of Clinical & Experimental Research. 2014; 2(2): 133-137. Annals of Paediatric Rheumatology. 2012; 1(4): 26-26. Journal of Veterinary Advances. 2015; 5(6): 962-967. Vom Journal of Veterinary Sciences. 2016; 11(1): 126-134.
International Journal of Reproduction, Contraception, Obstetrics and Gynecology. 2016; 5(4): 1273-1275. Acceptance of Umbilical Cord Blood as an Alternative to Adult Blood Transfusion by Pregnant Women in Makurdi, Nigeria. International Journal of Health Sciences and Research (IJHSR). 2014; 4(11): 50-54. Journal of Veterinary Advances. 2014; 4(4): 499-502.
International Journal of Forensic Medical Investigation. 2016; 2(1): 25-30. Journal of Environmental and Occupational Science. 2012; 1(2): 63-70.
International Journal of Livestock Research. 2015; 5(11): 24-30. Depressive symptoms and physical functioning: are older females and males different? Journal of Behavioral Health. 2012; 1(1): 16-27. Journal of Animal Production Advances. 2016; 6(1): 880-883. The Journal of Neurobehavioral Sciences. 2014; 1(1): 3-8.
International Journal of Livestock Research. 2015; 5(2): 78-85.
International Journal of Livestock Research. 2015; 5(3): 35-41.
International Journal of Livestock Research. 2015; 5(2): 86-93. Journal of Advanced Veterinary and Animal Research. 2015; 2(4): 427-434.
International Journal of Livestock Research. 2015; 5(4): 69-75. OKORO, I. C. and ONUNKWO, D. N.
International Journal of Livestock Research. 2015; 5(4): 85-93. ONUNKWO, D. N. and UGWUENE, M. C.
International Journal of Livestock Research. 2015; 5(4): 76-84. THE INFLUENCE OF WATER STRESS (DROUGHT) ON THE MINERAL AND VITAMIN POTENTIAL OF THE LEAVES OF OCIMUM GRATISSIMUM L.
International Journal of Livestock Research. 2015; 5(5): 65-72.
International Journal of Reproduction, Contraception, Obstetrics and Gynecology. 2013; 2(2): 221-223. Sokoto Journal of Veterinary Sciences. 2014; 12(3): 42-46. Journal of Veterinary Advances. 2015; 5(4): 869-873. Sokoto Journal of Veterinary Sciences. 2018; 16(2): 63-74. Sokoto Journal of Veterinary Sciences. 2017; 15(1): 27-35.
International Journal of Medical Science and Public Health. 2013; 2(3): 603-608. Kalu E., Ajaruonye A. N. and Okwara N.
Journal of Veterinary Advances. 2016; 6(9): 1310-1316. Journal of Environmental and Occupational Science. 2015; 4(1): 5-9. Sokoto Journal of Veterinary Sciences. 2018; 16(2): 91-97. Journal of Behavioral Health. 2013; 2(2): 120-126. Journal of Animal Production Advances. 2012; 2(11): 469-472. Transforming simulation in clinical education: is pre-placement hybrid learning valuable to healthcare students? Journal of Contemporary Medical Education. 2013; 1(1): 15-24. Journal of Environmental and Occupational Science. 2015; 4(2): 106-110. Journal of Behavioral Health. 2012; 1(4): 286-293. Michael Boateng, Daniel B. Okai, Abdul-Rahaman, S. Salifu and Manfred B. Ewool. Journal of Animal Science Advances. 2012; 2(9): 787-792. TAF Preventive Medicine Bulletin. 2010; 9(4): 355-360. Journal of Animal Production Advances. 2014; 4(8): 488-500. Journal of Behavioral Health. 2013; 2(1): 35-43.
International Journal of Forensic Medical Investigation. 2016; 2(2): 22-27. TAF Preventive Medicine Bulletin. 2010; 9(3): 187-194.
International Journal of Medical Science and Public Health. 2013; 2(1): 137-145. Journal of Contemporary Medical Education. 2014; 2(1): 42-47.
in-vitro stability and aggregatory effect of ethanol extract leaves of Sida acuta Burm F. on human erythrocyte. Journal of Experimental and Integrative Medicine. 2016; 6(3): 134-138.
International Journal of Research in Medical Sciences. 2016; 4(5): 1768-1771.